So I actually had planned to do a theme week this week of all Cajun recipes to get you all amped and ready to go for Mardi Gars next week. But even though I have all the recipes made and photographed, I have not had time to sit down and type up the recipes or go through the 386 pictures I have of them (really that’s an exact number of photos I have taken for one week of blog posts). So I will get all that ready this week and we can celebrate Mardi Gras next week together! 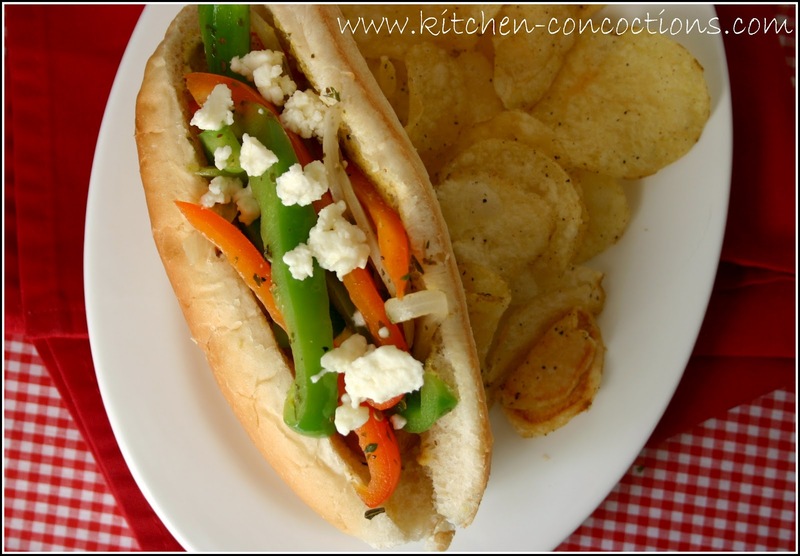 In the meantime, here is today’s Website Wednesday recipe, Sausage and Pepper Hoagies. It’s no wonder that I was attracted to today’s recipe, I love the sweet yet crunchy taste of caramelized onions and peppers. In fact, this Sausage and Pepper Arrabbiata is one of our most beloved recipes to date and a meal that I turn to often when I need a quick meal and only have a few bucks! These hoagies are a much more causal version of my go to pasta dish. This would be perfect for a spring or summer BBQ as you could totally just grill the veggies and sausage. But don’t wait until the warmer temps are here, cook these up on the stove top tonight (unless you live anywhere, oh say south of Oklahoma, where it has been “Spring” since October)! Heat 1 tablespoon oil in sauté pan over medium high heat. When hot, add sausage and cook for 8-10 minutes, turning occasionally, or until cooked through. Remove sausage and set aside. Add remaining oil to pan. And peppers and onions into a saucepan, sprinkle in the oregano, parsley, salt and black pepper. Stir the mixture every few minutes and continue cooking until the peppers and onions start to soften and caramelize slightly– about 10 minutes. Spread mustard on each side of the hoagie roll. 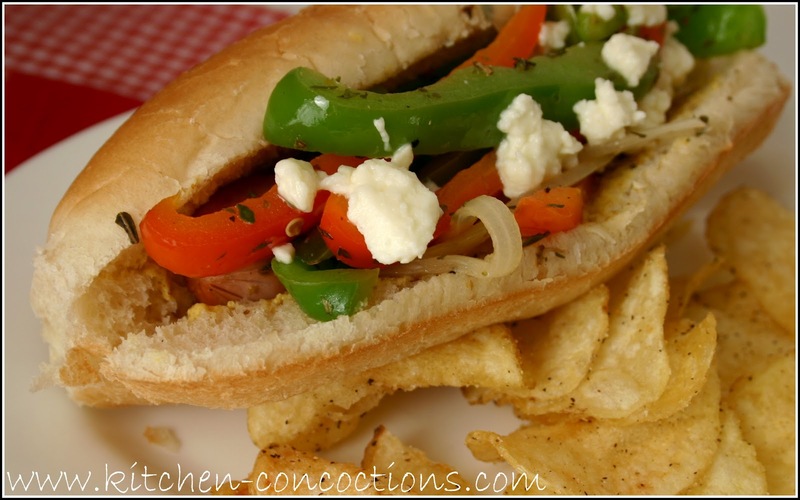 Place one sausage link in the hoagie roll, then top with the peppers, onions and feta cheese. Yeah, I'd happily eat one of these any time of year!